Grapevines have long been the first choice for many crafters. Grapevine wreaths, baskets, gates and other uses have kept this prolific vine one of the most popular of all natural craft making materials. 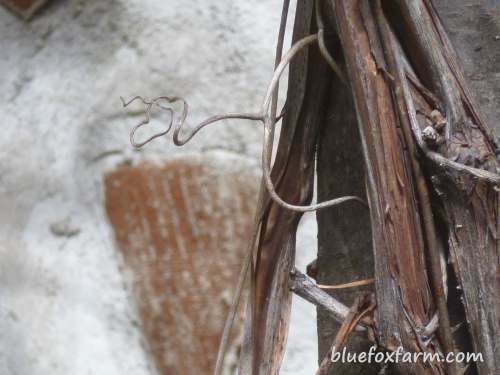 Fortunately, each year a well established grape vine will produce an abundance of long trailing growth which for best grape production must be removed every year. 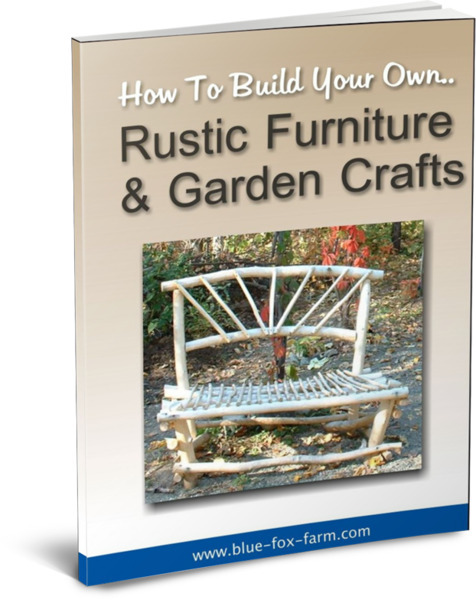 This is a great thing for those who want to make twig obelisks, twig baskets and other rustic crafts. 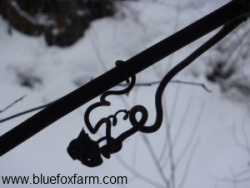 Grapevines can be coiled up for storage, and soaked prior to using to make them pliable and flexible. The ability to be stored indefinitely is a great thing. 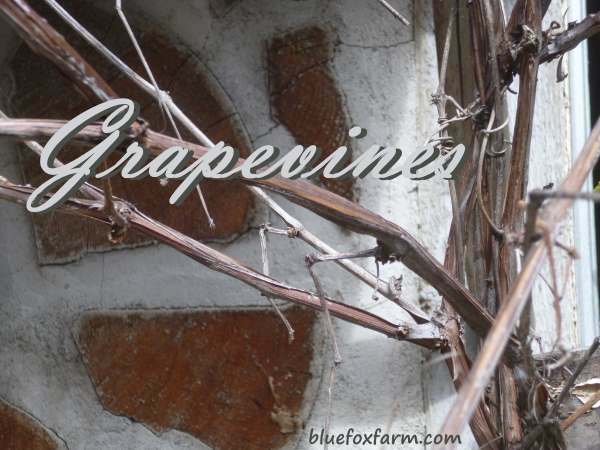 I use grapevines to make wreaths, weave through metal bed frames for gates, into fence panels and much more. A twig archway is fantastic wrapped with the textural and tendrilled vines. Used as a weaving material through other types of twigs and branches can lend an interesting texture to gates, fence hurdles and screens. Being flexible enough to weave through and around several uprights makes grapevines one of the most useful types of natural materials. Where can I find grapevines? Look for grapevines being pruned in late fall after a harvest at local vineyards, or in the spring before growth has started. In some cases, you can find green grapevines being cut in the summer if the growth has been excessive. Pruning grapevines in the summer is necessary for espalier, a method of pruning where the vine is trained flat against a wall or other support. These are particularly useful to have as they are finer and more flexible than the later growth which will be removed in fall or spring pruning. Best of all, grow your own grapevine up and over an arbor or gazebo, and enjoy the fruit as well as the vine.